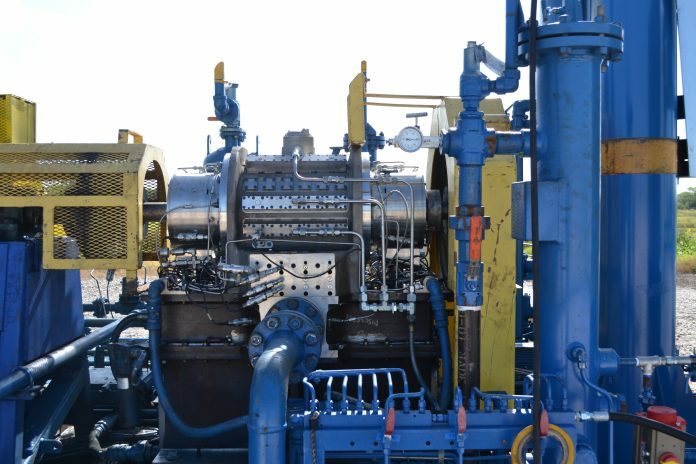 Hicor Technologies Inc. has developed a new gas compressor utilizing its patented, high-efficiency, high compression ratio, wet gas compression technology. January’s cover story provides in-depth details on Hicor Technology Inc.’s new wet gas compression technology. See all the images, data points, and illustrations in the January issue of Gas Compression Magazine. Hicor Technologies Inc. prepares to bring new compressor technology to market. Hicor Technologies Inc. began its journey in 2009. Its mission was to bring to market a new gas compressor utilizing its patented, high-efficiency, high compression ratio, wet gas compression technology. That journey is nearing completion as the company concludes its latest round of field tests and moves toward commercial production of the first model of its MP line of compressors. The basic operation of the compressor features a rotary motion with the compression chamber being centered around the main drive shaft. Compression is accomplished through a sweeping motion of the main rotor. The rotor is a proprietary, non-circular shape which is dynamically balanced for concentric motion about the main shaft. A vane moves in sync with the rotor, sealing the high-pressure portion of the compression chamber from the low-pressure chamber. On the other side of the rotor, a constant radius dwell section forms a non-contacting seal with the outer casing, completing the sealed compression chamber. Because of the high pressures and power that the compressor is capable of, the forces are too high to allow the vane to ride directly on the rotor. Instead, an external cam drive is utilized to maintain the vane at a constant distance from the rotor. Gas enters the compression chamber through the intake, until the full chamber volume is achieved and the rotor covers the intake. As the rotor continues sweeping around, the volume of the chamber is reduced, and the gas is pressurized. Once the pressure of the gas exceeds the pressure of the downstream piping, the discharge valves open, allowing the high-pressure gas to exit the chamber.